Google has been working on a new version of Google Analytics v5 which includes a lot of new and exciting features for users. 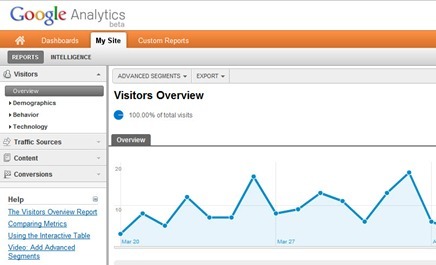 Google Analytics 5 has been in beta for quite some time now and has been tested by thousands of users. If you haven’t had a chance to take a look at the new Google Analytics 5, here is some good new. Google has rolled it out Analytics v5 to all users. Google Analytics 5 contains a lot of new features including a new home section, a streamlined interface to make it easier to get information you want. Analytics users can also get create multiple dashboards and add widgets to it so that you can quickly view information you want on your dashboard. Users can also create event goals to track downloads or purchases and create more powerful custom reports. Google Analytics 5 is definitely better than the older version, however, I would still like to see real-time analytics in the software. Right now, I have to use some other real-time analytics tracking software to do that. It would be great if we could do it from a single interface. How To Get New Google Analytics? To get the new Google Analytics 5, login to your account and click on the "New Version" link on the top of the page and you will be switched to the new Google Analytics. You can always go back to the Older version by clicking on the "Old Version" on the top of the page.